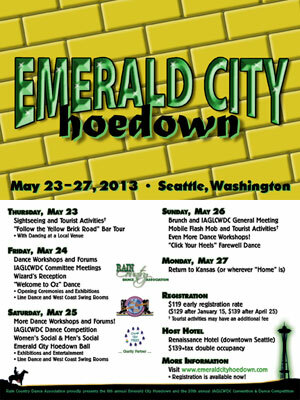 Welcome to the 2013 Emerald City Hoedown and 20th Annual Convention of the IAGLCWDC! This page will have key information about the hoedown added to it throughout the year. Check back frequently for the latest info. 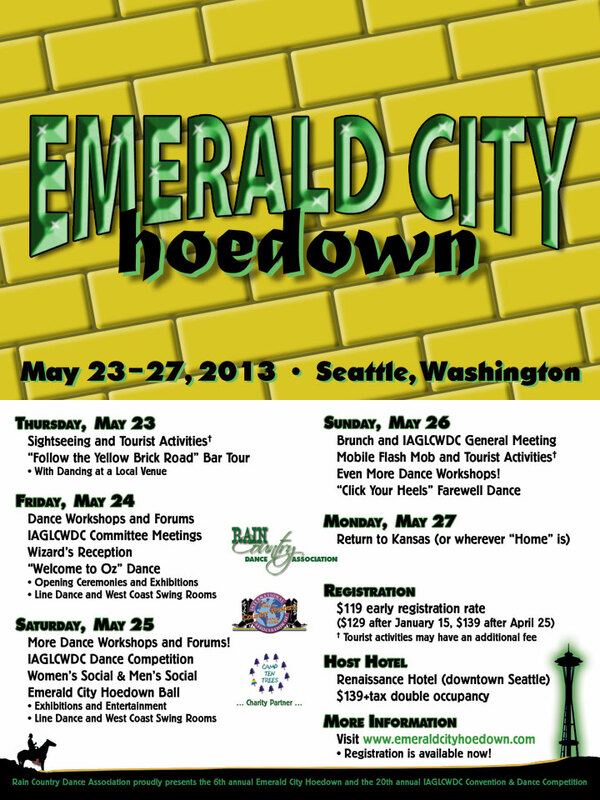 Join the Emerald City Hoedown mailing list! Get all the latest updates and notifications!